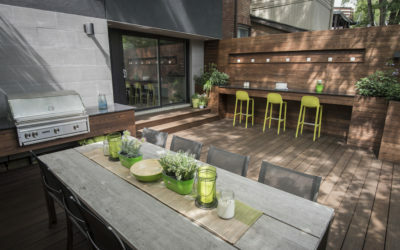 This homeowner desired a modern yet comfortable space for entertaining friends and family while maximizing privacy in an urban backyard. 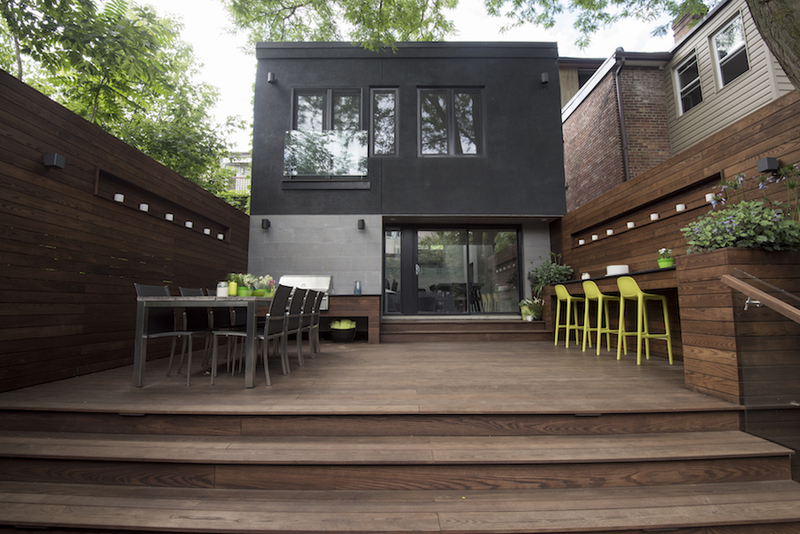 We constructed the deck using heat-treated wood, a superior decking material that’s beautiful and highly resistant to rot. 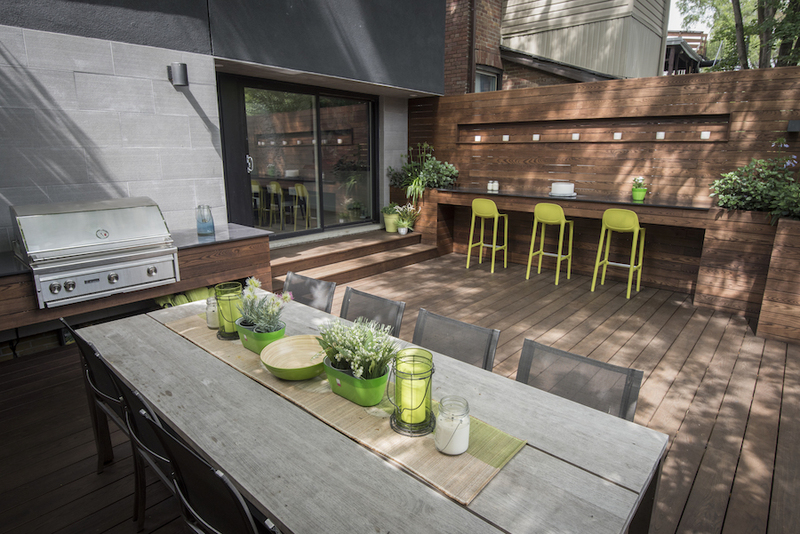 The deck incorporates two dining areas, an outdoor kitchen and modern privacy screens with built-in niches. 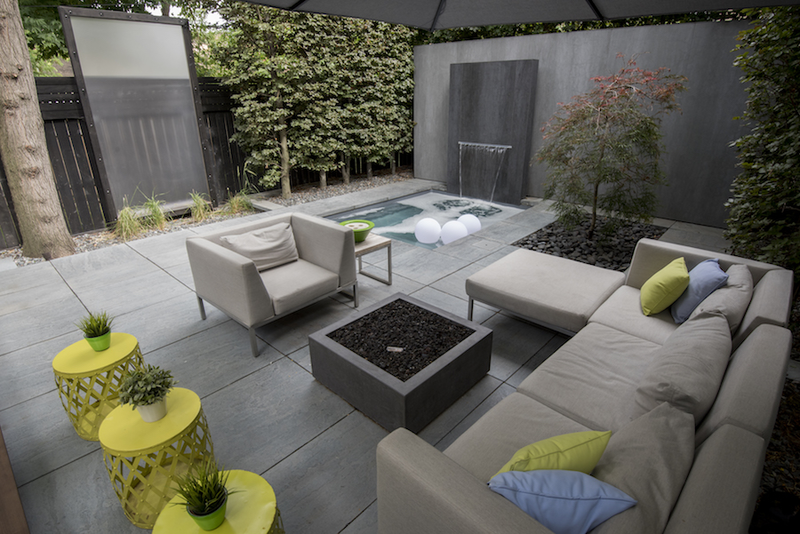 Large cultured stone slabs by Techo-Bloc bring a clean, contemporary aesthetic to the patio. 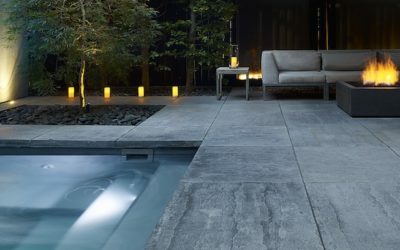 They offer the appearance of natural stone at the cost of pre-cast pavers. 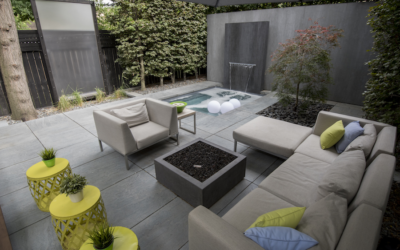 We took special care with the layout of the plunge pool/hot tub and tumbling water feature to make the space more useful for the homeowner and his nieces and guests. 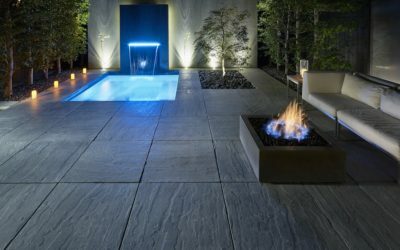 Controlled by smartphone, layers of landscape lighting provide ambience, drama and security and allow the homeowner to enjoy the outdoors into the evening. 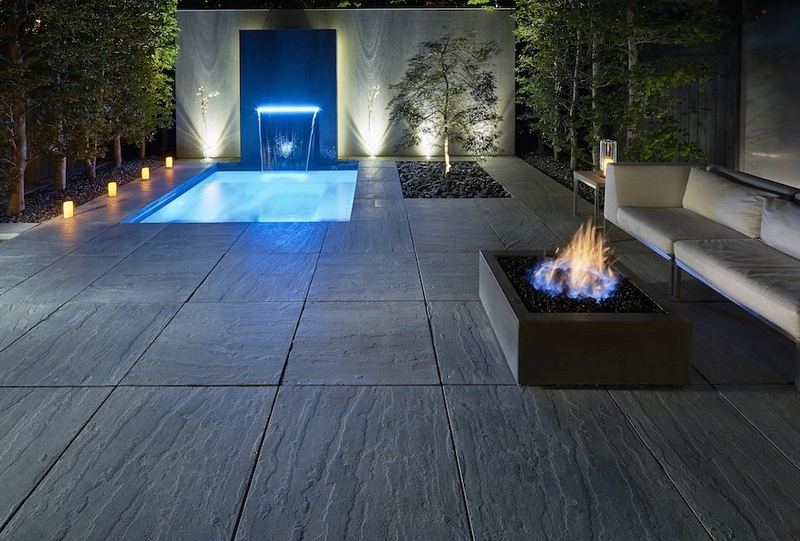 In addition to helping our client achieve everything on his wish list, Golden Mean Landscapes was honoured to win a 2016 Award of Excellence for Residential Construction from Landscape Ontario for this project.